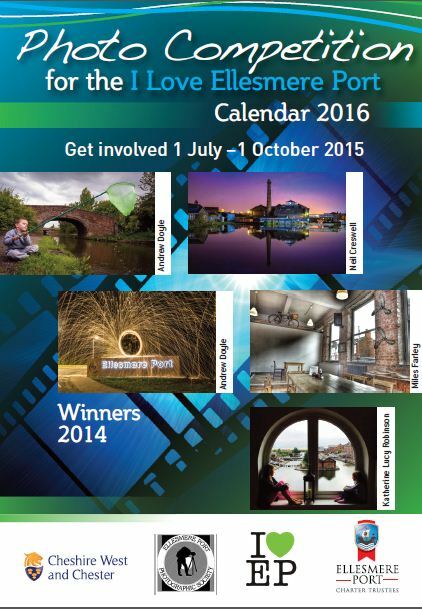 Submit your work showing all the fantastic things happening in Ellesmere Port. 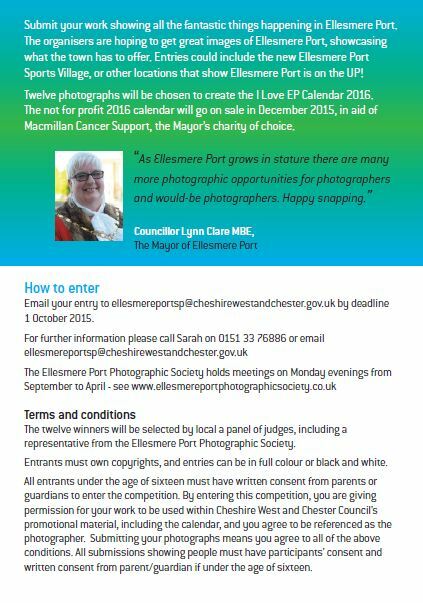 The organisers are hoping to get great images of Ellesmere Port, show casing what the town has to offer. Entries could include the new Ellesmere Port Sports Village, or other locations that show Ellesmere Port is on the UP! Twelve photographs will be chosen to create the I Love EP Calendar 2016. The Not for profit 2016 calendar will go on sale in December 2015, in aid of Macmillian Cancer Support, the Mayors charity of choice.